Note this is what causes the Crystal in your pineal gland to vibrate and open up portals into dimensions to tap your psychic gifts. Piezoelectricity is the charge that is generated when two materials are compressed together. The question is how do they buzz, and more importantly, why? 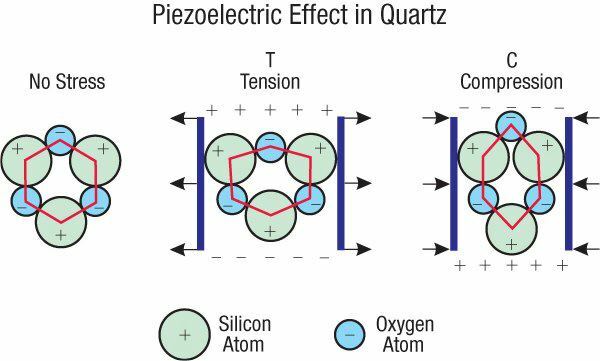 The how is easy enough to explain.Piezoelectricity is the charge that accumulates in certain solid materials (notably crystals, certain ceramics, and biological matter such as bone, DNA and various proteins) in response to applied mechanical stress. The word piezoelectricity means electricity resulting from pressure. It is derived from the Greek piezo or piezein , which means to squeeze or press, and electric or electron, which stands for amber, an ancient source of electric charge. Now, remember, piezoelectricity is rampant. It’s everywhere we look and everywhere we touch. It’s not some ancient, dark, mystic, secret that is exclusively owned and guarded by some Holy Order of the 33rd Degree Bloodline Dragonfly Sect (or whatever other secret society you wish to name). Quite a number of materials, both natural and synthetic exhibit piezoelectricity. •Viral proteins, including those from bacteriophage.